Innovation at SHA Wellness Clinic! How is it that a privately owned Clinic without the big name and notoriety of a big hotel chain behind it, who´s doors have not even been open for 10 years has been able to build up such a spectacular following and reputation in such a short space of time? Why are people travelling all around the world to come here, not only the Middle Eastern Royals and the royalty of the red carpet but also the “regular” guests all looking to make a significant change in their health and lifestyle? Okay, it is fair to say that the location is pretty special, located close to the Beach of Albir and Alfaz del Pi, near to the picturesque town of Altea, in Alicante. 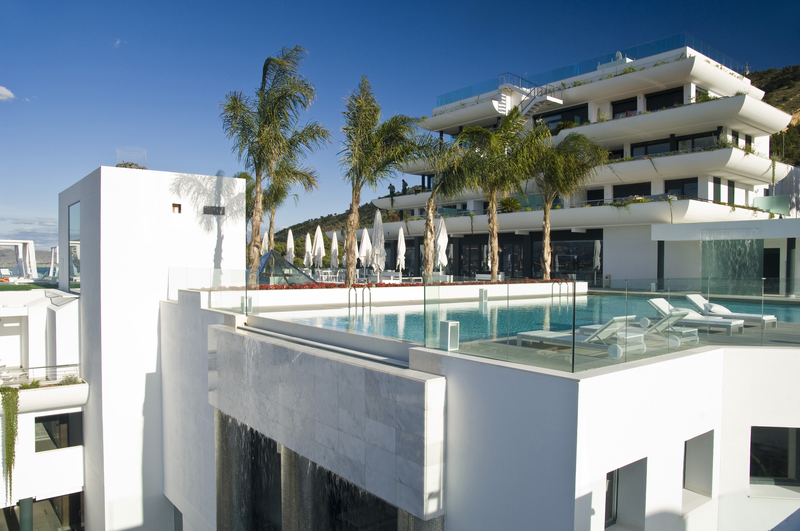 SHA stands in front of the Mediterranean Sea, next to the beautiful Sierra Helada Natural Park and offers guests stunning views. The area’s pleasant mild microclimate also guarantees a fantastic temperature right through the year and it has even been declared “one of the places with the best weather in the world” by the World Health Organization. These are not just well thought out marketing slogans but mission statements in themselves. With more than thirty international prizes, including Best International Medical Spa, it would appear that they are most definitely delivering in their promise and commitment. What triggered your conversion from stressed businessman to wellness and macrobiotic evangelist? Having spent almost 30 years of my life with severe stomach and digestive problems, they finally came to a head in 2000. A biopsy revealed the worst. My family’s history of cancer was well documented; I lost my mother very young, my sister, my aunt and my grandfather, all the same way. In light of this, I went to visit a doctor a friend had recommended for his focus on natural therapies and nutrition. I brought him all my medical reports and he didn’t want to see them. He looked into my eyes, analysed my face, my tongue and numerous key points of the body. He was the only medical practitioner to give me hope and succinctly diagnose my colonic problems. His solution was an overhaul of my lifestyle, exercise and nutrition. Was abandoning your old diet an easy process? There were many firsts for me, from the inclusion of Japanese sea vegetables to mushrooms, which are very strong anti-cancer and antioxidant foods. Yet, in just one month my body completely changed, the problems I’d had for years were gone. I couldn’t believe it. Whereas before, I was overloading on meat, potatoes, rich sauces, salt and sugary foods, now I can’t even stomach them. I eat plenty of fruits, vegetables and cereals and it’s wonderful to taste healthy flavours again. Before the change, I had truly stopped enjoying life and the switch prompted great contemplation in me. How was it possible at 52 years of age, I wondered, to have only discovered the benefits of this way of living now? I had been given another chance at life and I had to share the idea with normal people from all over the world, suffering as I had. How is your health today, 14 years later? Fantastic, thanks to the changes made. Each day I can happily work up to 12 hours, play tennis, do sports and still have so much energy that I don’t want to sleep. My organs are stronger and my senses are heightened – it’s an unbelievable feeling. 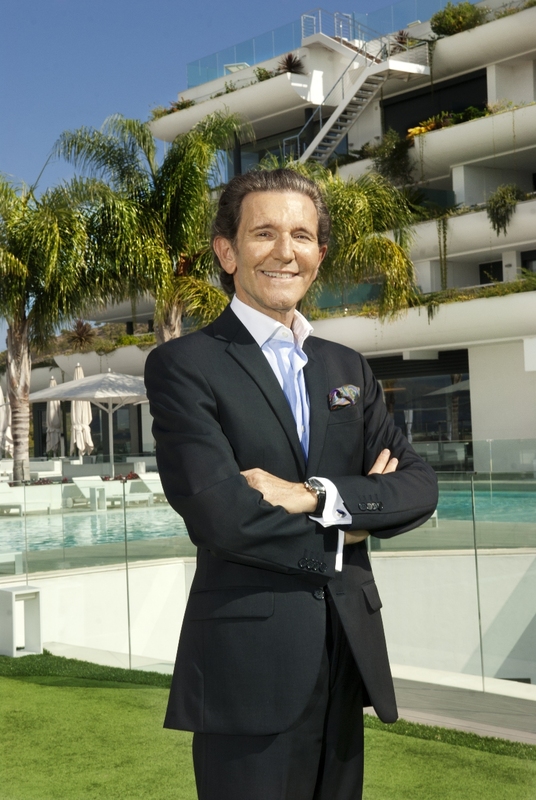 Amazed by the results acheived in just one month of treatment, Mr Alfredo Bataller decided to do more research into the benefits of natural therapies and healthy eating. He then shared all this knowledge in a single project which is SHA and which combines the wisdom of centuries with the latest advances in Western medicine. When it comes to the latest advances in Western medicine, SHA really is at the forefront of the latest and most pioneering technologies and are well deserved winners of the Best International Medical Spa. As the list of treatments and technologies available really is very extensive we will not detail every one but would like to offer some more information about the following areas in particular. THE COGNITIVE DEVELOPMENT UNIT is a unit with a multi-disciplinary approach in which the most up-to-date corroborated scientific knowledge is used and combined with the potential of the latest technology. Here your mental health can be evaluated you can carry out a series of exercises and activities aimed at developing all the potential stored in their mind. Your physiological and cognitive abilities will be evaluated, so that a personal programme can then be drawn up to to maximize your abilities and enhancing your strengths. This study not only helps to improved your current situation, but it also provides a series of tools and exercises that can enhance your state of mind at home. Anyone who does sport at any level, including elite athletes, who want to work in a specific way on their weaknesses. People willing to decrease the possibility of developing neurodegene­rative mental illness, through brain stimulation. People wishing to improve their cognitive reserve. THE SPINE UNIT AND OZONE THERAPY FOR JOINT PAIN focuses on evaluating back pain and to a lesser extent, pain that affects the joints such as in knees and ankles. After a thorough examination, the benefits of local ozone injection therapy are used. The ozone injection is one of the most powerful and beneficial an­ti-inflammatories known; it alleviates back pain and discomfort. This technique, which is safe and effective and can be administered without having to be admitted into hospital. It is carried out under local anesthesia, after an in-depth analysis of the condition in question, you can undergo local ozone infiltration treatment. On other occasions and depending on the disease, collagen or Noltrex infiltrations are used. THE ENERGETIC HEALTH UNIT: Bioenergy is a system that assesses and improves health by using technology that interacts with the human energy struc­ture. The objective is to find the main cause of the imbalances, and also support all the self-regulation mechanis­ms to deal with physical and emotional challenges. The big advantage of working on the energy field is that the tendency for imbalance can be identified before it becomes noticeable, which makes it the best prevention tool. As SHA have access to the information about the primary causes, they can also come up with solutions for disorders or chronic diseases. Using analytical technology enables the experts to make different esti­mates about the body’s level of performance, and in particular to find relationships between the data. Just as if it was a “Puzzle”, each piece of technology provides them with valuable information giving an understanding of the overall functioning of the individual in ques­tion, on a physical and emotional level. The data is obtained immediately. Anybody who would like to find out about their state of health and prevent any imbalances. People with chronic problems that have not improved befo­rehand. People who would like to have detox, weight loss, and an­ti-stress treatment or stop smoking. 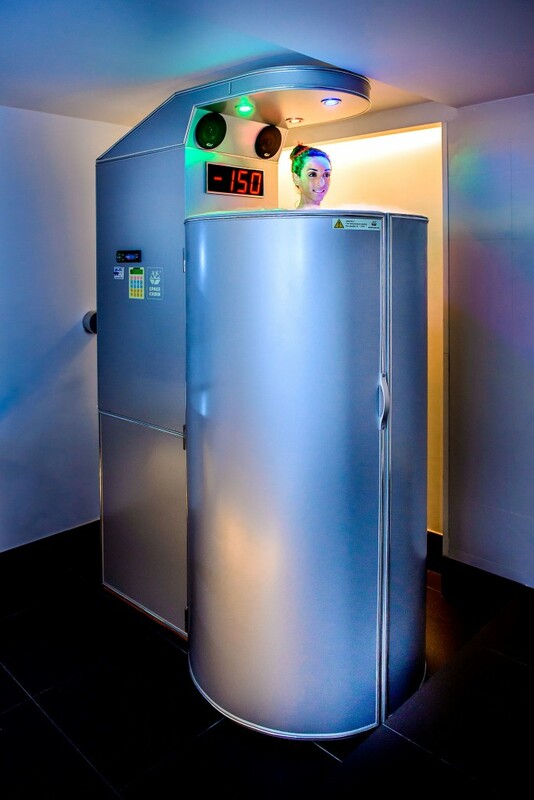 THE CRYOTHERAPY OR CRYOSAUNA BOOTH is a treatment based on exposing the body to nitrogen in the gaseous state at a very low temperature (150ºC below zero) –except for the hands, head and feet protection is worn – for a maximum amount of time of 3 minutes. This shifts the brain into a state of alert and gives rise to the production of what is known as the hormones of happiness, which in turn have an anti-inflammatory, analgesic and stimulating effect, and it also helps boost the immune system. Anti-inflammatory effect, without the complications of medication. Immunoregulatory effect, which adapts and improves the immune response. Analgesic effect on acute musculoskeletal trauma, which is why it is often used by athletes. It helps burn calories in the hours after the session, so it favours weight loss. It increases the blood flow (improves the circulation). So if we return to the original question as to how SHA Wellness Clinic has been able to build up such a following and notoreity in such a short amount of time it is clearly down to all of the above; the stunning location, the beliefs and philosphy of a true convert and a team of driven, passionate professionals with the latest technologies at their fingertips, all determined to make a significant, substantial and positive difference in the care, attention and health of all guests.